The Greatest Anti-Aging Breakthrough Since Botox®!? New GeneSphere Now with Acquacel. See results in minutes, not days. See results in minutes, not days. You'll be amazed at the results!? Younger look after just ONE application. Over 100,000 women have enjoyed the GeneSphere youth miracle since it was first introduced. Now comes New GeneSphere with Acquacel - and the best just got better! 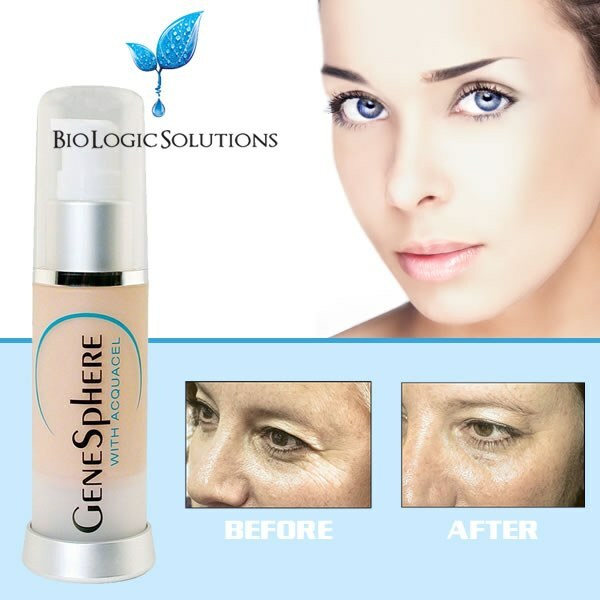 ?See results for yourself - a years-younger look after just ONE application. GeneSphere&apos;s original microscopic carriers bring hyaluronic spheres deep into the epidermis where they nestle beneath each wrinkle. Then they expand by absorbing 1000 times their weight in natural moisture from your own body, gently lifting wrinkles from beneath. You&apos;ll be amazed at the results!? In fact, Acquacel is clinically shown to provide improvement in skin hydration in just the first ten days of use...wrinkles and crow&apos;s feet seem to disappear.? A very light tint plus reflective light diffusers combine to help whatever stubborn age lines remain to disappear from view. Use it daily, and you&apos;ll experience rejuvenating effects that can last a lifetime. New GeneSphere with Acquacel - the best just got better!